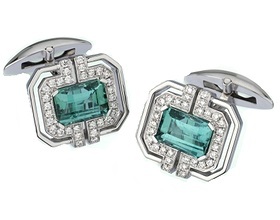 18K white gold “Modern Deco” cufflinks featuring seafoam green Tourmalines (4.48 ctw.) 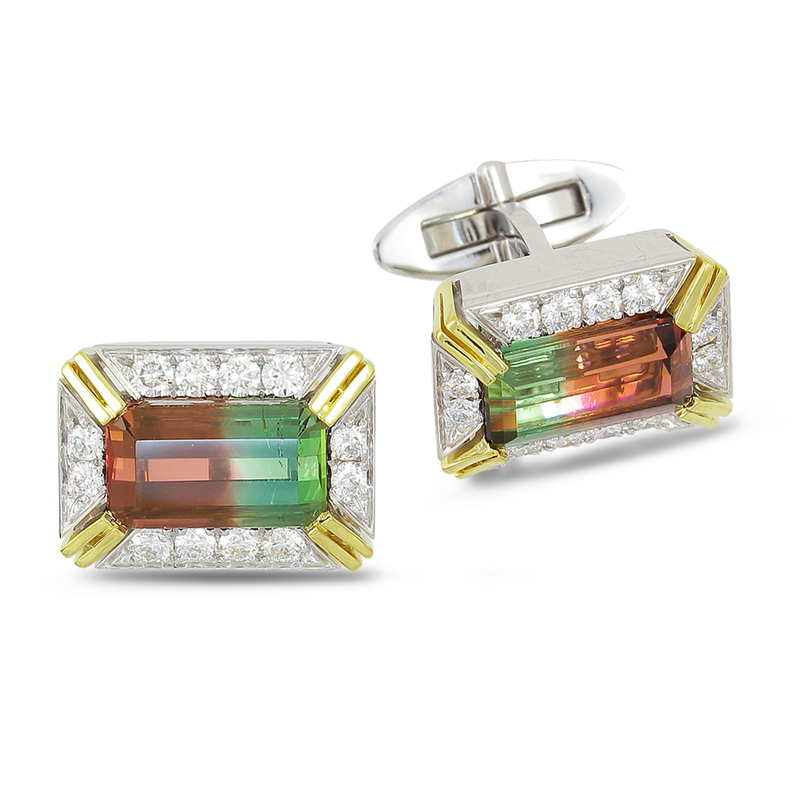 and Diamonds (.56 ctw.). 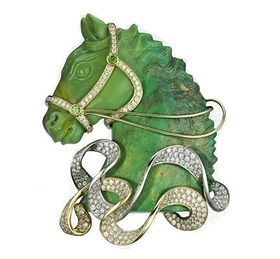 “Enchanted Stallion” brooch featuring 158.26 ct. hand-carved natural Turquoise, white Diamonds (3.77 ctw.) 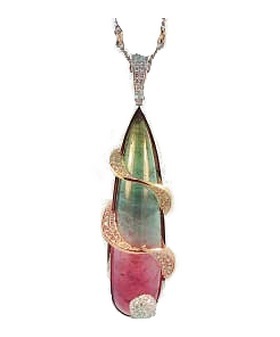 and demantoid Garnets (.16 ctw.) 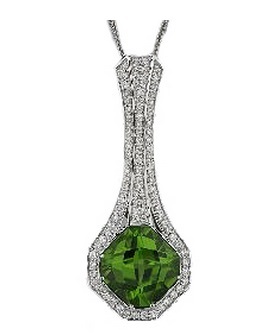 set in 18K green and white gold. 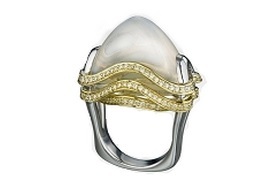 18K white and green gold “Empress” ring featuring a 32.05 ct. Moonstone accented with Diamonds (1.04 ctw.). 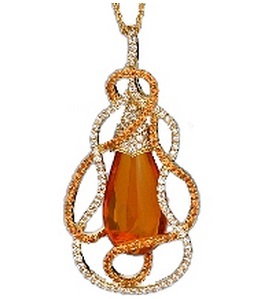 18K yellow and green gold pendant featuring a 26.18 ct. Mexican fire Opal accented with orange Sapphires (2.16 ctw.) 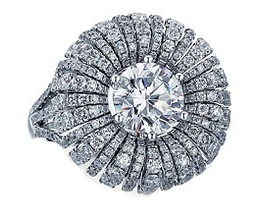 and Diamonds (1.90 ctw.). 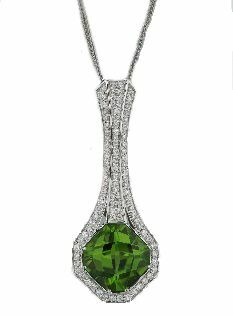 18K white gold “Deco Drop” necklace featuring an 18.67 ct. Peridot and Diamonds (3.56 ctw) pendant.